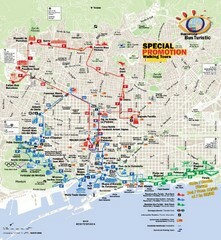 Metro Map for Barcelona, Spain. 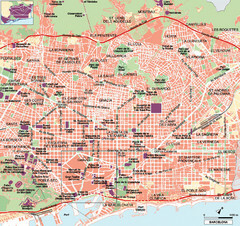 Map of Train lines and stations in Barcelona, Spain. 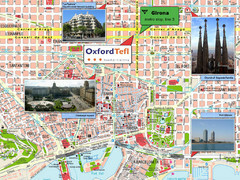 City map of Barcelona with major tourist sites marked with pictures.